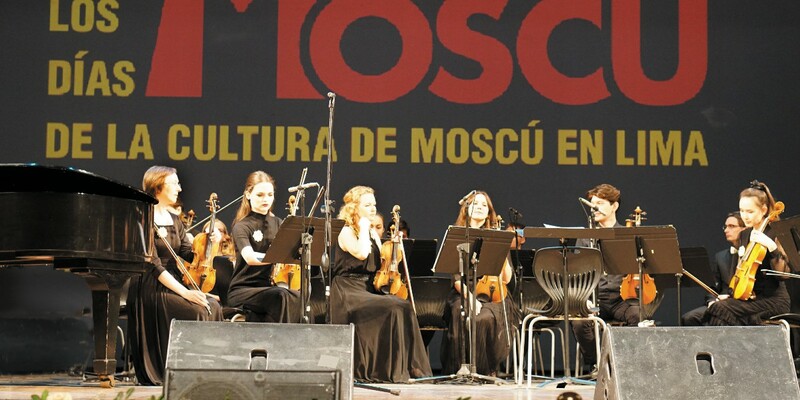 On April 23-28, Latin America hosted Days of Moscow for the first time. This is an important historical event for the Russian capital, Minister of the Moscow Government and Head of the Moscow Department of External Economic and International Relations (MDEEIR) Sergey Cheremin said during the event’s opening ceremony in Lima. 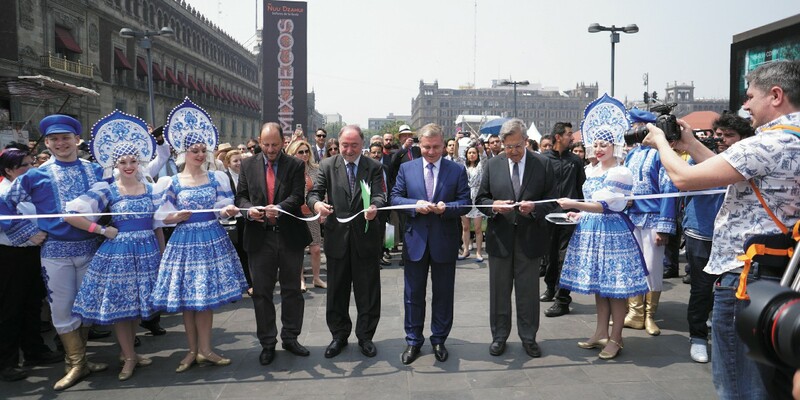 During the opening ceremony, Mayor of Lima Luis Castañeda commented on the significance of the event. He said that Peruvians will be interested to learn about Russia’s cultural traditions and the place where the World Cup will be held in 2018. The ceremony was also attended by the Ambassador Extraordinary and Plenipotentiary of Russia to Peru Andrey Guskov, as well as World Cup Ambassador and two-time Paralympic champion Olesya Vladykina. The subject of football was an important part of the Days of Moscow program. There was an infopoint set up on the main square in Lima, where people can learn about how the city is preparing for the events. The “Athletic Moscow” photo exhibition was also located here. 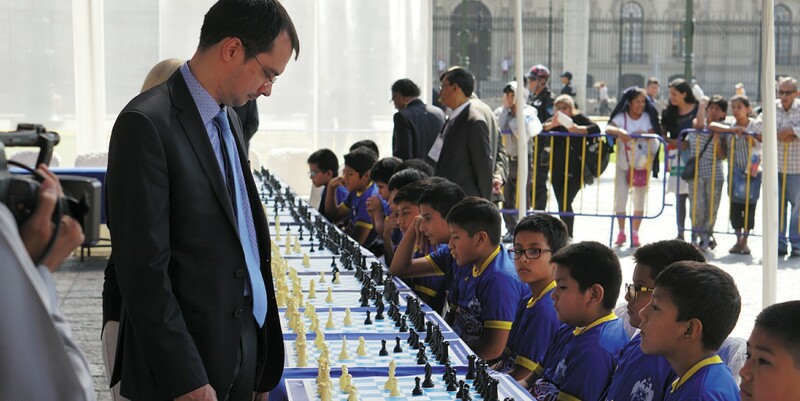 Before the opening of the Days of Moscow, an official meeting took place between Sergey Cheremin and Luis Castañeda, during which the head of the MDEEIR thanked the Mayor of Lima for organizing the event. He invited Mr. Castañeda to visit the Moscow Urban Forum, which will take place on July 17-22, 2018, at Zaryadye Park. 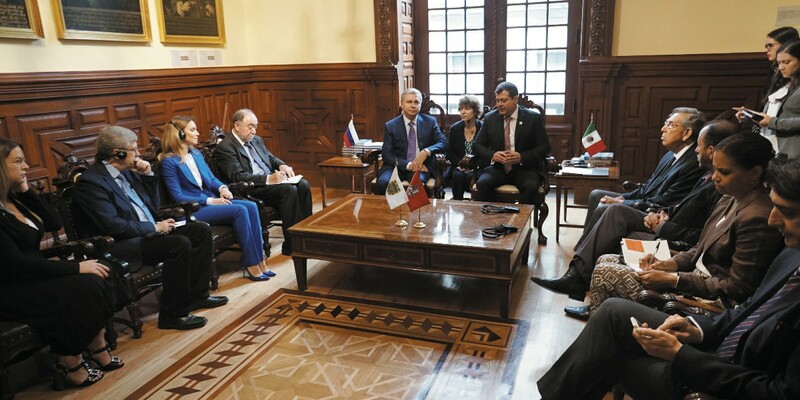 Moscow is going to develop cooperation with Latin American countries, and Days of Moscow in Mexico will facilitate the development of mutually beneficial relations between the capitals of Russia and Mexico. This is what Sergey Cheremin, Minister of the Moscow Government and Head of the Moscow Department of External Economic and International Relations (MDEEIR), talked about during the forum-presentation on Moscow’s economic, investment, and tourist potential. Because Russia is hosting the World Cup, Moscow is expecting a several fold increase in tourist volumes this year. “According to information from FIFA, Mexican fans bought 51,600 tickets to football matches. This means that the number of tourists visiting Moscow will increase several fold in 2018,” said Alexey Tikhonenko, head of the Moscow Department of Sports and Tourism, during the presentation.